Over the past few years unprecedented large-scale movements have challenged states across the globe. From Tahrir Square in Cairo to Zuccotti Park in New York City, and most recently, the streets of Brazil. Common to all is the widespread use of social media in organizing and articulating protests. 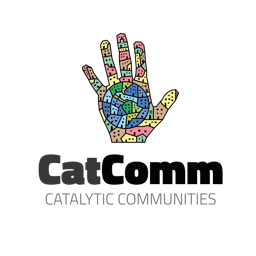 Through Twitter and Facebook, local movements now have the technological ability to transcend limits of space, time and resources. With its stark inequality and low quality public services, Brazil, given its hyper-connectivity, as the world’s second biggest user of both Twitter and Facebook, was a shoe-in for next-in-line. How does the use of social media change the structure of today’s social movements and Brazil’s in particular? On June 3, Zeynep Tufekci posted on DMLcentral, in the midst of Turkey’s wave of demonstrations, eight preliminary characteristics of what she calls the “networked movement.” Here we use Tufekci’s chacteristics as a starting point for analysis of what is happening in Brazil. While Zeynep is careful not to accuse networked movements of being “flat or lack[ing] prominent persons or a hierarchy of influence or attention,” she observes a lack of organizational structure. That is, networked movements lack a “formalized mechanism of representation or decision-making.” For example, the Occupy Movement was accused of having no clear demands, an accusation now being made of the Brazil’s protests. But is this a characteristic that exists within the movement or a convenient way for the media to frame it? Reduction in the price of bus fares. Right to free expression. An end to police repression, the criminalization of social movements and the use of lethal, and non-lethal, weapons on protestors. Money for the World Cup and Olympics for health and education. Democratic management of cities by popular decision. These specific goals were determined using a consensus across the general assembly. Another assembly was held in front of IFCS on June 25 in which thousands gathered. The philosophy of the movement in Brazil, and of the general assembly, is not to come to a decision but to a consensus. The important difference is that a consensus embraces difference and is not focused on convincing anyone but rather on deliberation which is the only way a consensus can be reached. This philosophy starkly contrasts with the standard workings of Brazil’s democracy. While the wave of demonstrations in Brazil may have begun as a collective refusal to the increase in bus fare, it certainly is not being sustained by it. In the five propositions/demands in the general assembly, two of the demands are concrete propositions rather than rejections. 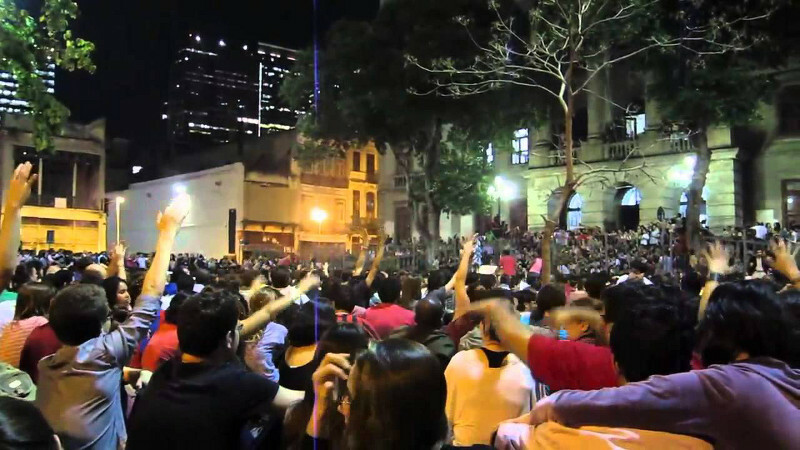 When the city government of Rio reduced bus fares, the movement responded with over 300,000 people on the streets of Rio the following evening (June 20). And even as the movement continues to win concession after concession, the demonstrations continue. In Brazil it is not a “feeling” of a lack of institutional outlet, there is essentially no institutional outlet. Oppositional politics in Brazil is particularly weak. Political parties have absorbed a number of social movement organizations and unions in the past, and over the years these parties have become more concerned with maintaining their organizational power than with democracy. The political landscape is full of organizations trying to survive by any means possible, creating an intrinsically corrupt political system. This has been exacerbated in recent years with the large influx of money associated with hosting the World Cup and Olympics, much of which is supporting specific sectors–construction and real estate in particular–at the expense of public services and while increasing costs for average citizens. In amassing hundreds of thousands of people, many will be non-activist types because to gain such numbers requires a number of social networks to be activated. For example, the Civil Rights Movement in the United States counted on the extensive social networks of Southern black churches to mobilize large numbers of people, and this helped the movement achieve success. Similarly, in Brazil today, a large number of social networks are activated for each event, with social media playing a prominent role in the organization and rapid publicity of these events. An open Facebook event is created with the time and date of the demonstration. This then is shared through a number of overlapping social networks that include both activists and non-activists. In many cases, organizations such as the Popular Committee for the World Cup and Olympics or Favela Não Se Cala will reach out directly to their membership to ensure participation. Social media is a tool which, when leveraged properly, can organize hundreds of thousands of people from different social segments. Another form of non-activist participation witnessed throughout the demonstrations involves people interacting with demonstrators from their homes or offices by flicking the lights on and off (in Portuguese, piscar). This action is part of a call-and-response act at demonstrations. The crowd calls for onlookers to participate, chanting “Pisca! Pisca! Pisca!” The onlookers respond by flicking the lights, to which the crowd then chants, “Come to the street!” This act of call-and-response between demonstrators and onlookers is a beautiful form of protest that allows individuals with physical disabilities, or families with small children, to share the same space as the demonstration while simultaneously expressing their support. Zeynep also observed similar forms of protest in Turkey where a large number of non-activists participated. International media attention towards today’s networked movements may be more accurate, nuanced and analytical than domestic or local coverage due to the questionable commitments of domestic media to their authorities. In the case of the recent Brazil protests this was multiplied with the Confederations Cup going on across the country and a large number of international reporters present. This further increased the internal and external attention towards the Brazil protests. Demonstrations have been covered extensively by every major news outlet in the world, particularly giants like the New York Times, the Guardian and Al-Jazeera. Furthermore, social media extends the international reach of demonstrations. 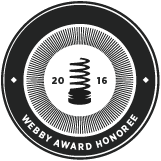 Whether or not the mainstream media pick events up, social media make them internationally accessible. Explanatory videos made by Brazilians in English that express their country-wide indignation to an international audience have gone viral: #ChangeBrazil currently has 1.45 million hits on YouTube, while Carla Dauden’s No, I’m not going to the World Cup has been viewed by nearly 3.5 million people. 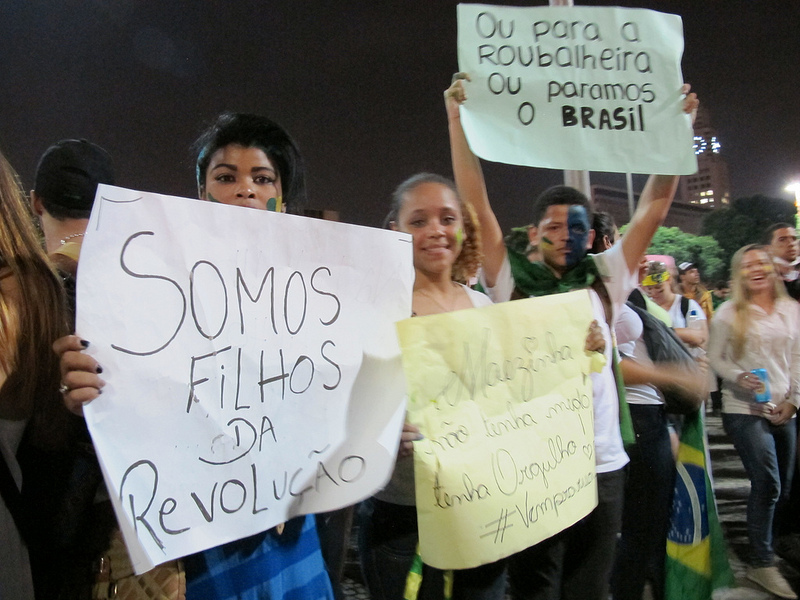 And on June 19 Instagram posted a highlight of the demonstrations to its entire network with the hashtags #protestorj and #vemprarua, generating further external attention. Hashtags allow for quick access to collective experiences using a simple word or phrase, and as mentioned above a number of hashtags have been used throughout the wave of demonstrations. As a result anyone with access to social media can broadcast their experiences globally. For example, #protestoRJ, #protestoRecife, #protestoSP, #BHnasruas are all hashtags that capture the experiences of protests in the cities Rio de Janeiro, Recife, São Paulo and Belo Horizonte respectively. Moreover, these types of hashtags are a way for people to share information specific to those cities as well. 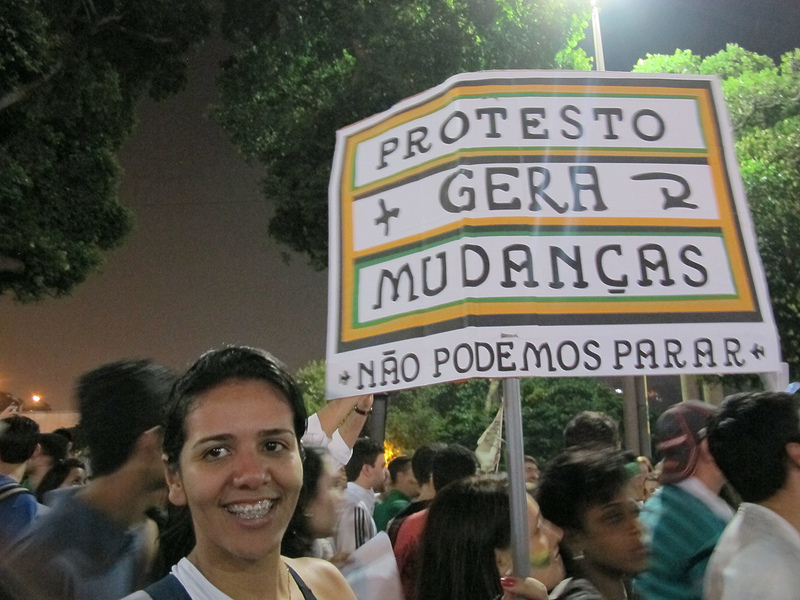 Other hashtags such as #mudaBrasil, #OGiganteAcordou, #VemPraRua and #ChangeBrazil are more general. Search any one of them and you can follow the latest trends and experiences of movement participants. Social media–with special support provided by hashtags–allow people to construct the movement’s narrative. This also allows people, collectively, to undermine the narrative created by mainstream media. The voices of participants coalesce into a different and more accurate narrative. Instead of seeing vandalism and looting you see police repression. Instead of seeing only white middle class students, you see a diversity of movement participants. Did all of this really happen over a 20 cent increase in bus fare? The answer to this question is both yes and no. Yes in the sense that the 20 cent increase in bus fare was the final straw in a long list of injustices and social problems. And no in the sense that social movement organizations, community associations and NGOs have been actively fighting against a number of injustices for a long time, not to mention that the public’s indignation goes beyond public transportation costs. But why only now have citizens come together in the largest wave of demonstrations Brazil has seen in decades? For Zeynep the answer is in social media as a space where civil society can openly discuss politics, fostering a political consciousness that breaks pluralistic ignorance and alters collective action dynamics. Pluralistic ignorance is a social psychological concept that refers to people who privately hold a particular view, but who are too afraid to share that view. 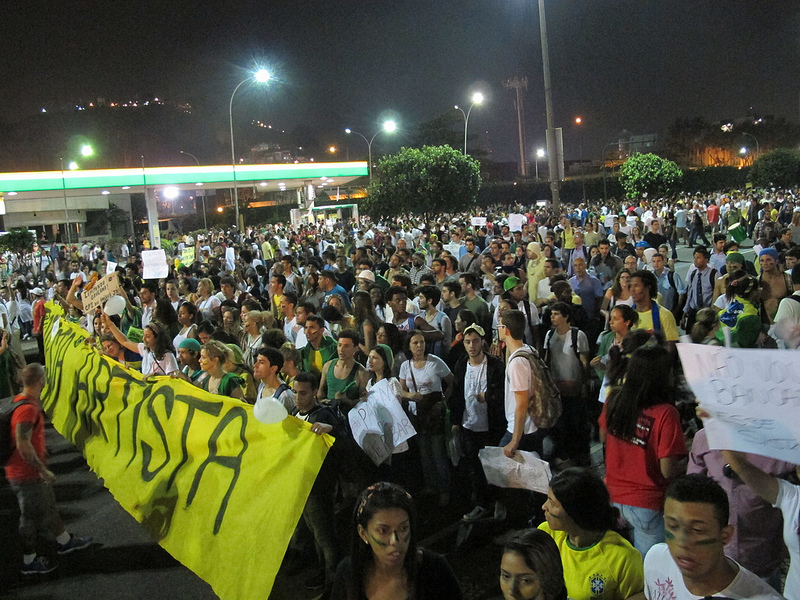 In the case of Brazil, citizens of all classes and backgrounds hold the view that corruption and poor government services are a problem, and will be vocal about it but often end with a resigned, fatalistic “well, that’s Brazil.” What marks the protests is a movement from resignation to collective action and a sense of the possibility for change. 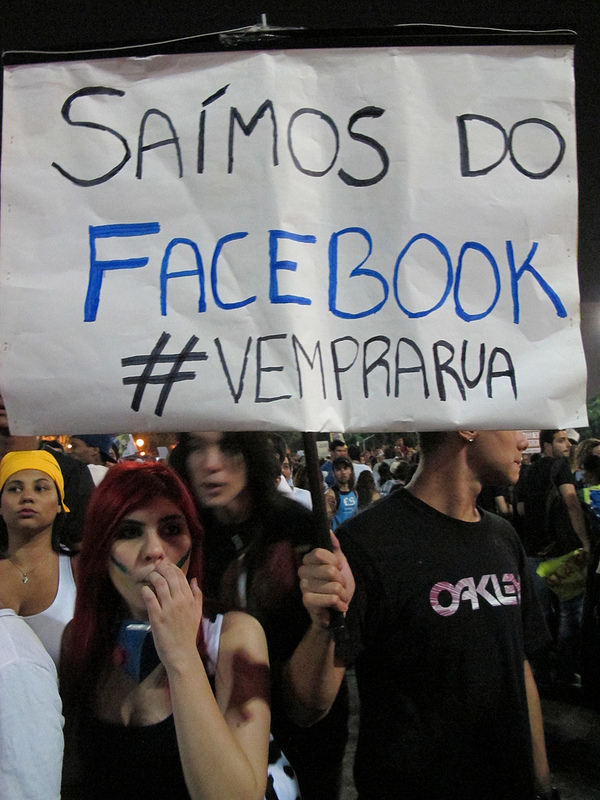 Social media in Brazil is a space where politics are discussed and where hope and outrage are fostered. The combination of above factors have made the movement a powerful political force that has already–in a few short weeks–had much success. Bus fares were reduced. In Rio a parliamentary investigation into the bus mafia has been approved. The PEC 37 and “Gay Cure” bill were thrown out. In September the federal government will vote on reforms to Brazil’s political structure. And protests have mobilized a number of social segments into a unified force. But what’s the next step? As described earlier, the movement is based on consensus, sometimes difficult to reconcile with representative democracy. And in Brazil there is a sense that history has shown what happens to those movements who “talk” with the government: co-optation. Therefore what we are seeing today in Brazil–the most recent addition in the wave of large-scale movements that began with the Arab Spring–is a new kind of revolution. Revolution 2.0 is organized, articulated, and the momentum sustained through constant sharing of ideas and events on social media. Although many of these movements have “failed” to reconfigure their governments, they have been successful in getting millions to collectively say “no” and have enabled a new consciousness which is the necessary first step to change. Let’s step away from the 24-hour news cycle, take a deep breath, and reflect on all of the incredible things that have happened over the last few years. These movements are not trying to change the operators of the political machinery. They are trying to change that very machinery, and that takes time. In Brazil, the impending mega-events will provide increasing international attention and protests will prosper in their wake. Might they have transformed themselves from democracy vacuums into catalysts for fast-track social change? The Confederations Cup is a rehearsal for the World Cup. The movement is only beginning and now that people have rehearsed, expect even larger demonstrations in Brazil over the coming years. This article was written by Eric Borja, and published on July 12, 2013.